Hope this is ok to put this on here. I am now admin for Spaniel Aid, sorry I have gone over to the dark side !! We had a beautiful young female black lab relinquished to us recently alongside a springer, how could we say no! She is now ready for a new home. 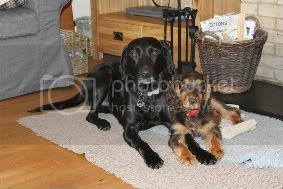 Hopefully this link should work, if not go to Spaniel Aid Facebook page and you will find the lovely Rosie on there. Oh she is lovely. Shows how old my 2 have got when my first thought is 4 is a bit older than I'd look but that is almost HALF the age of my puppy Tucker! Give me a shout in June/July time. Oh that’s a shame Laura, you would be a lovely home for her. She’s in foster with one of our admin team, and she says she is a lovely girl, very gentle and not a bad bone in her body.